ME-Mommy Etc: What if my scale didn't exsist?? What if my scale didn't exsist?? So one of the blogs that I love to read "OK, just one more beer..." posed this question this week. It really got me thinking if I didn't weigh myself constantly how would I know I was moving to live a healthy lifestyle. 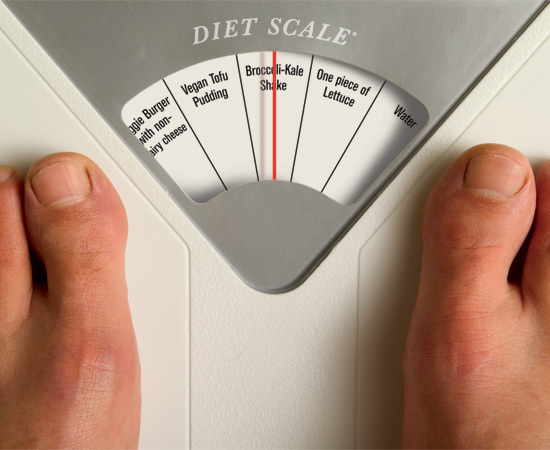 When I lost a lot of weight a few years ago (prior to babies) I really had an unhealthy relationship with my scale. I become obsessed with the what it said and I allowed it really dictate my emotional well being. This time around I have figured out that I need to work on loosing weight as an overall healthiness journey. This is why I am spending more time then I would like in therapy working out what I loving refer to as "my stuff". Yet, it is still hard not to discuss success and failure by a metal object. Over the last three weeks or so I haven't been able to track (or if I am being honest didn't want to) and instead of going to hte gym I have been taking our new dog for 40 minute walks. Although I haven't been eating unhealhty or not exercising I always look to the scale to see results. After three weeks I have gained one pound. I instantly see that as a failure rather than what it is...I period of time where I am not working as hard as I could be to get to my healthy goal. That is life though...things have been really stressful at work and although I am not binge eating something has to give....that something was tracking and constant vigilance of every morsel of food. In reality though that is going to be what life is like for me Good times and bad and I think I really need to reflect and start to think about what does healthy mean...is it a number on a scale or how I live my life everyday and with every choice. I wish I could say I could live my life right now without that metal object...but honestly right now that scale is still part of my journey...not the only part but one of. Don't get discouraged, it really is about the foods you are eating not the lack of exercise. Exercise is meant to be fun, walking your dog is great exercise.. unfortunately we have been told the wrong info about our health and what we should be eating.. we are made to believe that it is hard, we have to work hard to get rid of the weight.. it really isn't.. our body doesn't want to be fat.. we just have to learn how to eat... sugar is what makes us fat, not fat. Not going to the gym 5-6 times a week is not what is going to show you the difference on the scale, it's the foods.. if you have questions, send me an email. I've spent hundreds of hours researching this, I've finally figured it out, now I'm trying to help out others.. The scale is not the be able and end all, especially with two beautiful children you should be so happy! It sounds like you are really learning to eat better with what you are packing for lunch and especially with walking Olivia so much! I hid my scale in the closet when we redid the bathroom last year, best decision I ever made! Unfortunately I am struggling now with the stress eating and I really need to get myself going...plugging along!